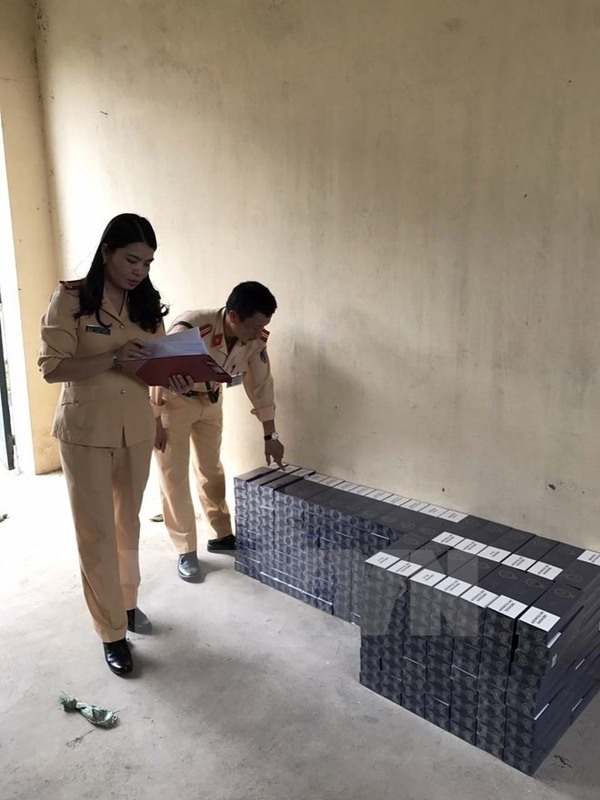 THANH HÓA — A car transporting 2,500 packs of smuggled cigarettes was seized on Sunday by the traffic police in the central province of Thanh Hóa. On National Way 1A, the traffic police stopped a car with number 74C-48.02 for violating traffic rules and discovered that the car was transporting 2,500 555 Blend No Gold cigarette packs, currently of unknown origin. The car was driven by Nguyễn Ngọc Hùng, born in 1970 and residing in Đông Hà Township of central Quảng Trị Province. Hùng told the police he was transporting the cigarettes from Hà Nội to sell in Quảng Trị Province.